Vijay's CM statement: Is Celebrity Politics Passé? 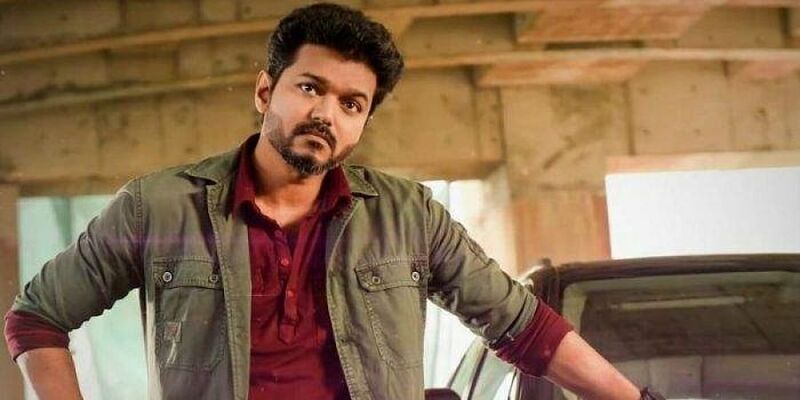 At the audio launch of his new film, Sarkar, Tamil superstar Vijay was asked if he was planning to play Chief Minister in real life. Vijay could indulge in. But knowing how intertwined cinema and politics are in Tamil Nadu, the star’s reply has already been interpreted as a hint at his possible foray into politics. There are two aspects to Vijay’s statement, which goes: “If I become the Chief Minister, I won’t just act like one, but will do my job with sincerity”. For starters, Vijay, like nearly every big star in Tamil cinema, has no qualms about wearing his political identity on his sleeve. Secondly, he is simply following the tradition of Tamil superstars blurring the line between cinema and political propaganda. After all, three Chief Ministers of this state—MG Ramachandran, M Karunanidhi and J Jayalalithaa—graduated from films. Also, with Kamal Haasan announcing his political outfit and Rajinikanth dropping hints of getting into politics, the state’s political landscape is again going to be influenced by cinema. Last year, Vijay initiated a debate about a political future when his film Mersal featured him mouthing controversial dialogue about the Goods and Services Tax (GST). The difference between then and now besides being closer to the elections, of course is that unlike a character in a film, Vijay, the person, spoke on how he wanted to root out corruption if he did become the CM. Vijay addressed the gathering as if it was a political rally or how else do you explain utterances such as: “…we have already formed our sarkar (government) and now we are going to contest in the elections”, and then clarify to the cheering fans that he was not talking about real-life politics but just the film, Sarkar. With the 2019 elections approaching, there is going to be an increase in such politicking and you could expect such enthused one-liners from the likes of Vijay. The massive fan-following that he or a Kamal Haasan has is akin to political cadre, but does that readily translate into votes? Haasan’s immediate release post the announcement of his party Makkal Needhi Maiam, Vishwaroopam II, was one of his career’s worst reviewed films and also fell short on its commercial expectations. By comparison, MGR’s first film after he split from the Karunanidhi-led DMK to launch Anna Dravida Munnetra Kazhagam later rechristened All India Anna Dravida Munnetra Kazhagam (AIADMK), Ulagam Sutrum Valiban (1972) was such a resounding success and it settled any doubt about the state’s electorate. Are today’s celebrities who have political ambition unable to read the pulse of the people? A major chunk of India’s population is under the age of 25. They might not even be fully aware of the achievements of some of these ‘celebrities’ to believe that they could replicate their onscreen personas in real life.